Product information "MCO Home - Fan Coil Thermostat 2 pipe"
The MCOEMH8-FC thermostat is a device for room temperature control, equipped with Z-Wave wireless technology. It is destined for central control of a 2-pipe fan coil, which influences room climate by heating, cooling, humidify and dehumidify. 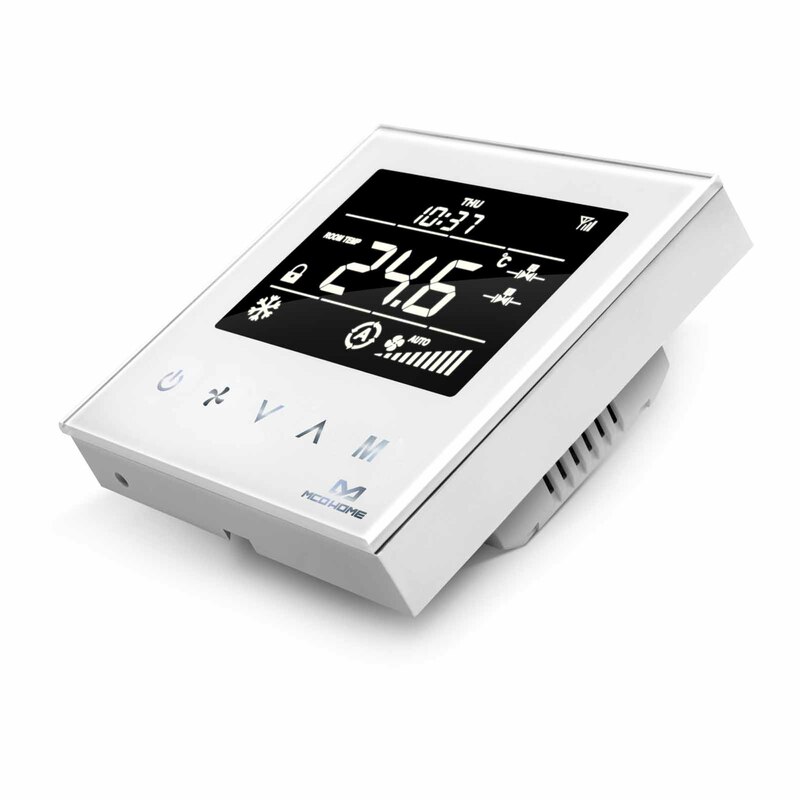 The device can read room temperature and local time, and automatically control fan speed based on the temperature difference. 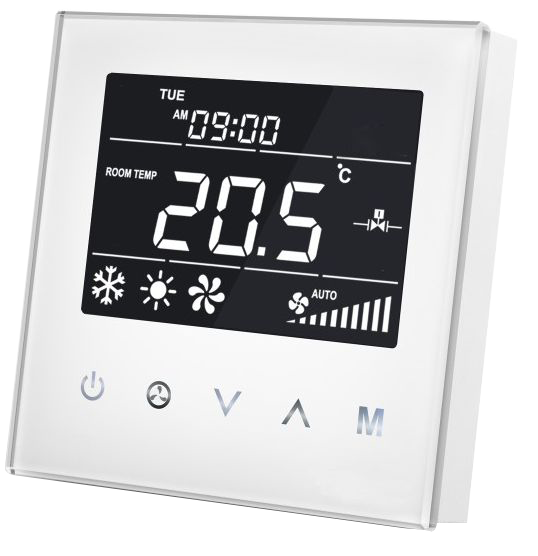 The wall thermostat MCOEMH8-FC requires a static installation with mains power. 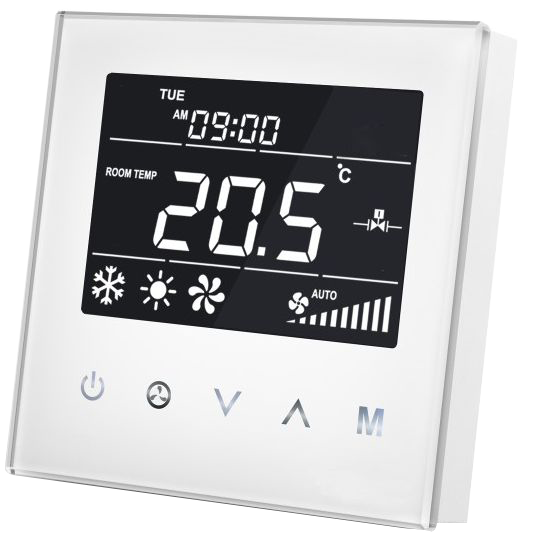 Thanks to its modern design with capacitive glass touch panel it is particularly suited for visible installation in living areas. Related links to "MCO Home - Fan Coil Thermostat 2 pipe"